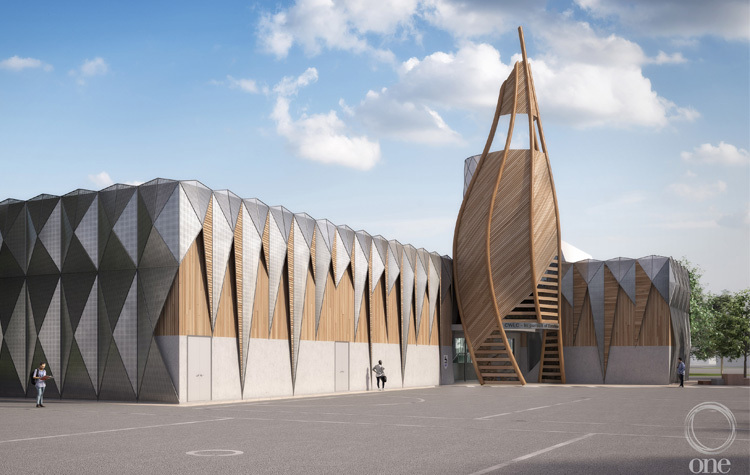 A Midlands school is celebrating having received planning permission for a state-of-the-art, purpose built performing arts facility. 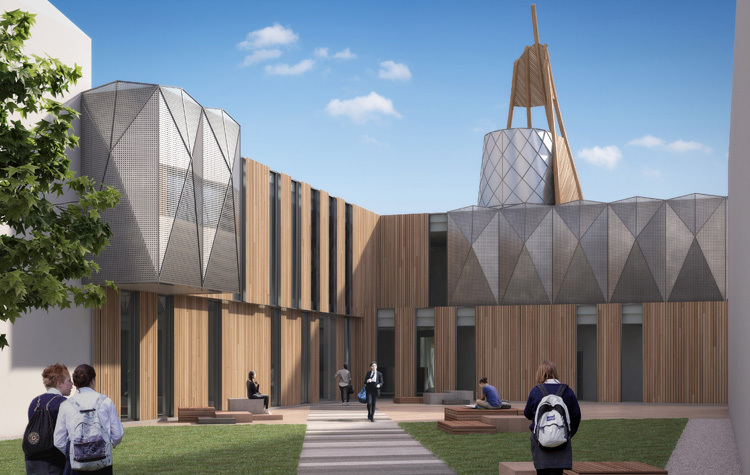 The building, which has been designed by One Creative Environments (One), provides a wealth of facilities that will benefit students at Christopher Whitehead Language College (CWLC) and Sixth Form in Worcester. This purpose built educational facility will provide a performing arts and multi-functional facility for teaching and will combine music, drama, dance and vocational studies. It will help students learn about business and there is a radio station, booking office, hair salon and small kitchen and servery. Marketing of events will also provide opportunities for students to understand more about business promotion. 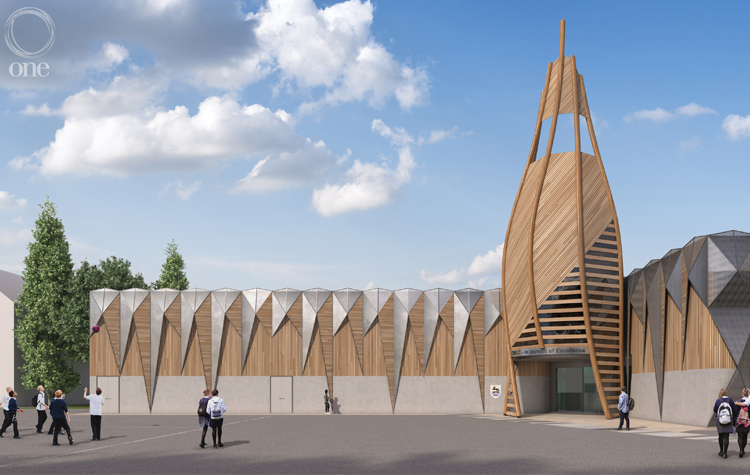 The addition of the bell tower, which is attracting private funding, means that CWLC will be the only state school in the country to have such facilities on the school site. This will enable the teaching of bell-ringing which has wide ranging educational benefits including in the teaching of art, science and mathematics. Bell-ringing sheet music is based on mathematical formulas and requires mental agility for synchronisation and the combination of the bells. It will also help improve student’s physical agility, co-ordination, reaction time and balance, improve muscle endurance and cardiovascular fitness as well as help to keep this art form alive. A range of measures have been put in place in consideration of the local area: through intelligent building design with sound proofing and roof louvres that remain closed during teaching, restricted teaching times and the sound will be controlled by physically ‘muffling’ the bells so that the chime can only be heard by the students through the use of a computer and headphones. The bells will only be allowed to ring audibly to celebrate special local and National events, under the supervision of experienced bell ringers, for 12 days a year for an hour on each of this occasions between 10am and 6pm. 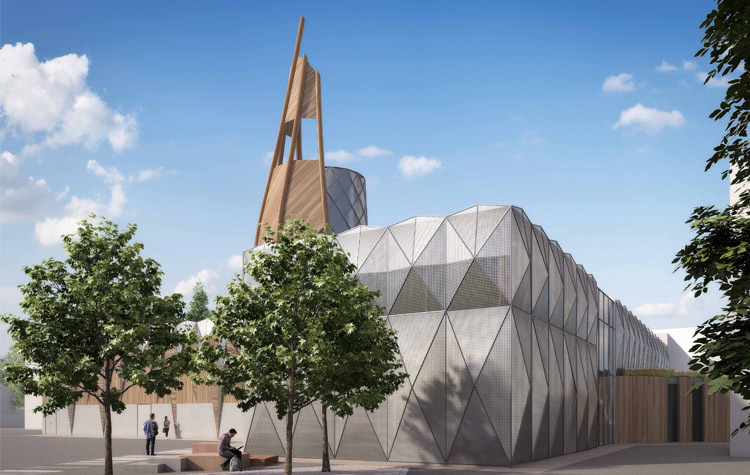 Stunning views will be provided across Worcester, which includes the Cathedral, from the viewing platform of the tower with local overlooking avoided by the careful positioning of opaque screening glass. One is a multidisciplinary building design company and has provided all aspects of the design: masterplanning, architecture, landscape architecture, structural and civil engineering and building services all modelled in a 3D Building Information Modelling (BIM) environment – the future of intelligent building design. Acoustic analysis was provided by Sandy Brown.